What happens when you make a film about boyhood over 12 years? Let’s find out. A young boy deals with growing up without a steady father figure and finds introversion and questions to be his saving grace. Later in his teenage years he finds passion in art and love but he learns not everything good lasts. Boyhood is Richard Linklater’s mammoth 12 year project, filmed once a year with the same actors playing the same characters and is a tour de force at pushing film-making to new levels. Linklater has always been intent at discussing human problems and moving away from familiar storytelling methods, much like his peer, Terrence Malick. Due to Linklater’s observational approach to storytelling, the film is largely not prohibited by usual narrative restrictions meaning dramatic happenings and resolutions aren’t needed and aren’t present in any conventional sense. Linklater’s assumes Mason’s slow transformation into adulthood is supposed to be enough for the viewer, and it truly is. Watching the subtle changes of his character is captivating, even his evolving fashion trends and the use of early Coldplay to modern Arcade Fire all help create several fantastic time stamps on the project. Linklater’s observational style also leads to the simple and uncluttered portrait of a developing person, Mason, with him checking whether there are elves in the world around the age of eleven and later discussing more serious issues like communication problems due to the Internet and particularly Facebook. His rants on this subject in particular are brilliantly typical of a young person thirsty for knowledge but this is rarely seen in fictional depictions of teenagers. 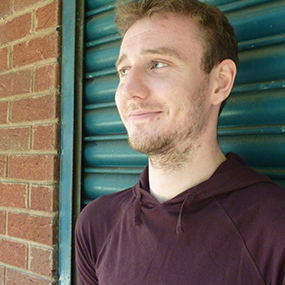 We see his relationships develop with him meeting his first serious girlfriend only to be ditched later; a surprise for him as he thought she was the one. It’s all of these intimate moments that make his character so easy to identify with, as each of us has been through some similar experiences whether with love or endless curiosity as a child. The cast do a magnificent job, especially the younger stars Ellar Coltrane, who played Mason and Lorelei Linklater who played his older sister, Samantha. Interestingly Lorelei asked her director father to kill the character off due to her own boredom with the project after a few years but even her resentment at being there works perfectly in to depict her early teenage years. At six years old Coltrane brings intelligence to Mason’s quiet introspection that is only made more impressive when the character learns to vocalise his thoughts. Coltrane as Mason also appears extremely self aware of his surroundings later on, with him looking at people with a keen and weary eye, and this only makes scenes appear more naturalistic. 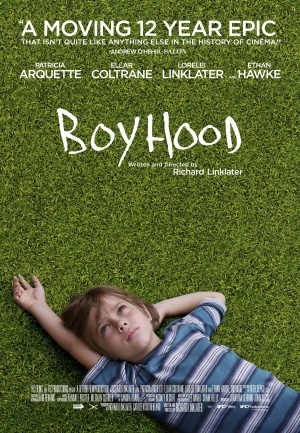 With Boyhood, Linklater has produced a gargantuan classic that is utterly unique in format and microscopic in focus. After the credits roll, you feel like you’ve witnessed your own child grow up and due to its naturalistic form, there is a sense that the story will continue on by itself. Were you left in awe of Boyhood or was it all hype? Let us know in the comments below.